I’ve been on the receiving end of a few dozen War Declarations during my time playing EVE. I expect it is a relatively low number considering. 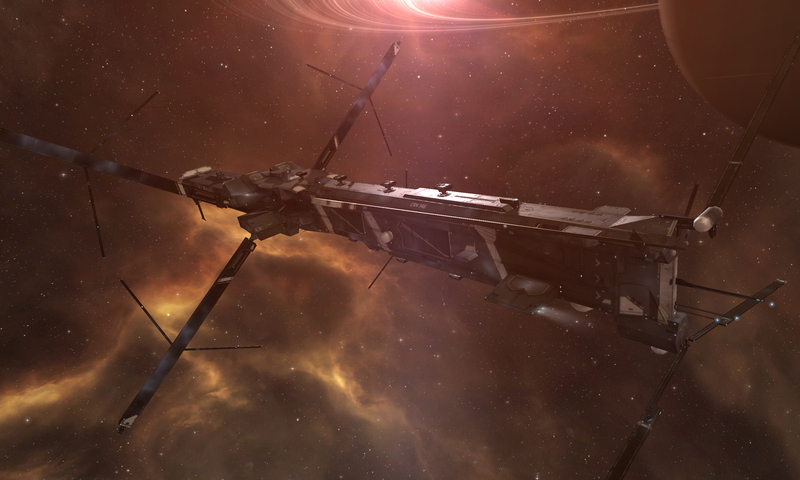 Some were strategic – coinciding with attacks on Null Sec homes, making resupply and escape more difficult. Some were personal, triggered by in or out of game slights or history. Most were from Hi-Sec Pirates looking for easy kills. In all but a few singular instances, the Corporation and Alliance Leadership told pilots to stop undocking in Hi-Sec, and to only use out of Corp Alts there. Indeed, the PVP pilots said the same. It was not worth trying to pin down experienced Hi-Sec Pirates as they knew every trick and game mechanic to avoid any sort of fair fight. Inevitably you ended up playing the game less while the war lasted. Most losses during these wars were from the ignorant, lazy or the dumb. Some never read their EVE mail or the Corporation Forum, some gambled they would get away with risky behaviour, quite a number died in the last 24 hours as they mistook “The War is ending” message for “The war has ended”. I have traditionally found it interesting in an abstract way. I’ve appreciated the strategic nature if it has accompanied an invasion. I’ve found it a small challenge to resupply using Alts, or to find something else to do while docked or out of Hi-Sec. When I moved to concentrate on solo play, I went through a period where I looked for a Corporation to War Dec. This was for the interest of trying something different. I did lots of research, but I could not bring myself to grief any of the likely targets I identified. Another time, after someone unnecessarily annoyed me in game, I went through the process of looking to hire Mercenaries to War Dec their corporation. Again, this was out of interest to try something different. I did lots of research, but every likely Mercenary organisation I approached turned out to be abstruse and dubious to deal with. In the end I placed a bounty on the Corporation and left it at that. The only time during my solo play my own Corporation / Alliance has had a War Dec is when a newish group of players wanted to take my Player Owned Custom Offices. I couldn’t do much to stop them, but I planned to keep the War Dec running for an extended period to try and give them some sort of consequence. While I had not lived near my POCO’s for a long time, I was still known to some of the locals. They noticed one of the POCO being shot at, and off their own back hired Mercenaries against the attackers. This was the first time I found a War Dec had enhanced my game and provided particularly interesting / cool content, and I in effect did not fight it. While I have never lost any assets to a War Declaration, I have tended to lose game time. They usually resulted in my logging in less. In my experience I’ve found very few players who remark on having any sort of fun from being declared war on. Some might exclaim that with each War Dec I should have gone out and tried to bring the fight to the attackers. Ignoring the fact I was generally ordered not to, the statistics CCP has been throwing about of late suggest at the folly of that idea. On average more than a 100 Defender ships die to each Attacker loss. The “Fun” of that situation is backed up by metrics that confirm pilots play less when under War Dec, and some continue to play less and quit. So, we have a combative mechanism which is not fun for most defenders, causes them to play less and for some to quit the game, and has on average no real consequence for most attackers. 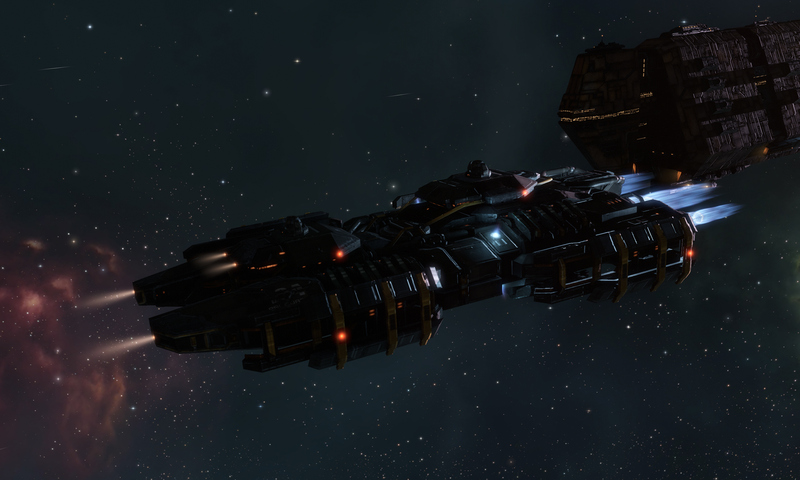 I can understand CCP’s recent focus on this mechanic – although I don’t understand why it has taken them so long. I’ve been reading lots of comments from players and organisations on the other side of the spectrum – those who are constantly declaring war on others. I am undoubtedly prejudiced against the attackers, and the tone of their voices in my head as I read their words is not particularly flattering. With that in mind – a common thread is that without War Dec’s continuing in a similar fashion, the flood of untouchable resources would cause the entire EVE economy to collapse. 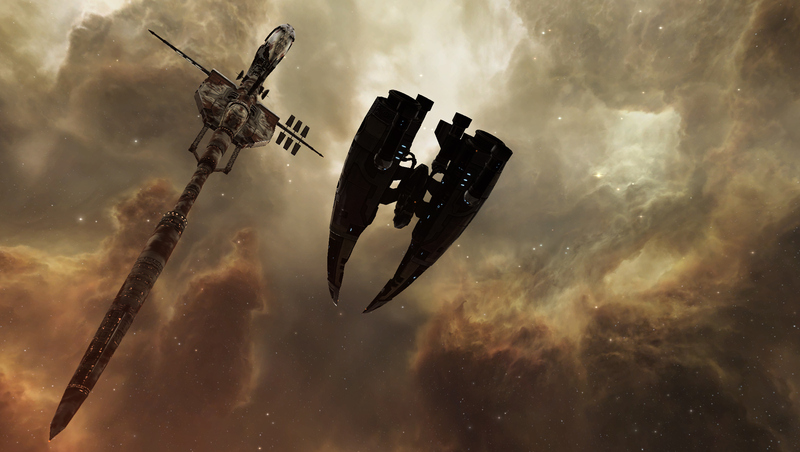 Low and Null Sec Alliances would collapse – because no one would want to move out of Hi-Sec to join them. Changing the system would make a mockery of calling it a Sandpit game. Some comments were defiant – they would work out how to game any new system anyway, or would seek in game retribution against CCP. Unsurprisingly there is a lot of victim blaming. Given attackers have been one sidedly winning in this area of the game for a long time, I expect it has been a lot of fun for them and they are disinclined to see that reduced. So, what is CCP to do? 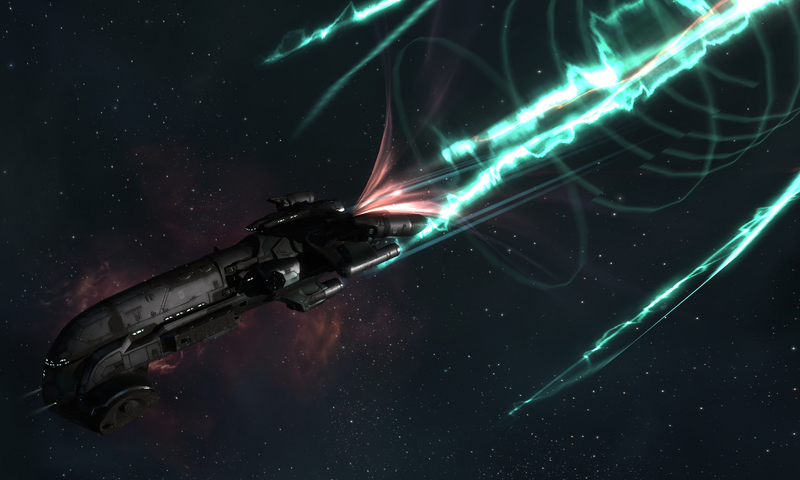 I think there definitely needs to be a War Declaration Mechanic – it is logical in the combative environment of EVE. 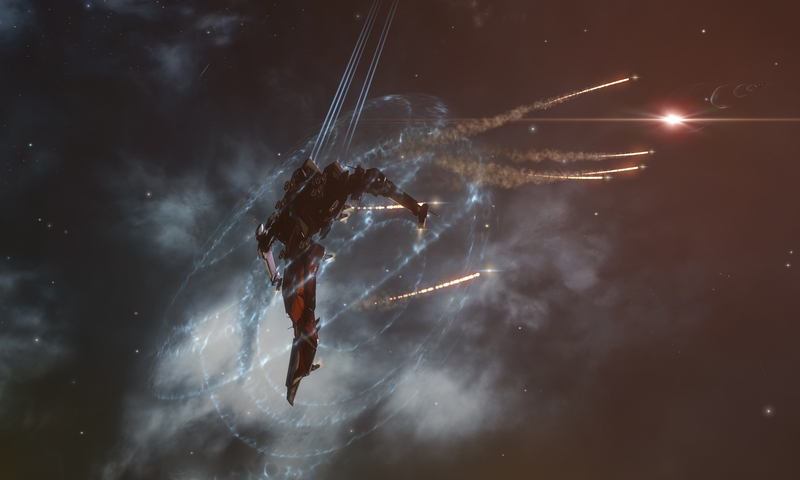 CCP does however need to try and stem the flow of players quitting the game prematurely due to the mechanism, make it more difficult to cheat the system, and somehow re-balance it. I am not actually a real fan of the initial change – no War Dec’s for Corporations without any structures in space. It seems to me by letting people protect themselves by not involving themselves as deeply in the game, you risk having them become less interested in and reward by the game long term. Frankly I don’t have anything near an answer to what CCP should do. I do know most of what I have heard from defenders or attackers has been self-serving and not seemingly healthy in the long term. Should the War Declaration fee go straight onto the bounty of the Attacker? Do you allow the defenders to pay an amount matching the war declaration fee to Concord, as a bribe to invalidate the war? Should the war declaration fee be on a sliding scale – the more you pay, the more damage the attacker is able to inflict? Once the damage limit is reached, the war is declared over. This might encourage the defenders to fight back as there is a ceiling to the losses they can expect. Should the defenders be able to invalidate the war if they manage to kill 1 or more of the attackers? Should there be other ways for the defenders to impact the duration of the War Declaration? If the attackers don’t inflict any damage in a 24-hour period, the War duration is reduced by a day? (Easily gamed by spies letting themselves be killed.) Maybe if the defenders mine a certain amount of Ore, or visit a certain number of systems, or run a certain number of missions in a 24-hour period (based on the number of pilots in the Corporation), can they reduce the War duration by a day? Repeat this and it might end up going for 4 days instead of 7, or there will be 3 days of safety at the end of the week before the Attacker can extend the war. Do you bring in a level of match making – where SP totals and player counts need to be similar between attacker and defenders (coinciding with major changes to neutral boosting and remote assistance and the like)? Do you change the War Declaration mechanism so that while Concord reprisals are stopped, the attackers still get suspect flags? The obligatory question – how might War Decs be made to work for the Solo player like me? Now don’t cry and carry on – I’ve put no effort into these ideas AT ALL, and I don’t care to defend or debate the results of 30 seconds of brain storming. I’m saying we will need to have a fresh and out of left field conversation about this. Historically the Attackers have been derisive of conversations about changes to War Dec’s – harden the F up, cry baby cry, yay for more salty tears, stupid F’up Carebears. The Defenders have tended to complain. This time there will be change – and if neither the Attackers and Defenders engage productively in the conversation, they are going to get an outcome they will not be happy with. I hope CCP get it right, although I won’t be holding my breath.